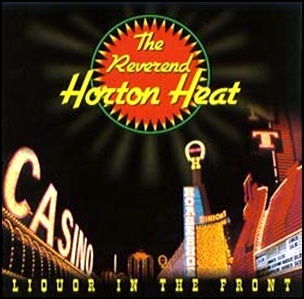 On July 5, 1994, “Sub Pop” and “Interscope Records” labels released “Liquor in the Front”, the third Reverend Horton Heat album. It was recorded in 1994, at “Crystal Clear Studios” in Dallas, Texas, and was produced by Al Jourgensen. All tracks by Jim Heath, except where noted. On April 12, 2013, “Interscope” label released “Mosquito”, the fourth Yeah Yeah Yeahs studio album. It was recorded 2012-2013, at “DFA Studios”; “Stratosphere Sound” in New York City, “Sonic Ranch” in Tornillo, Texas, “The Square” in London, “Squeak E. Clean Studios” in Echo Park, California, and was produced by Nick Launay, James Murphy, David Andrew Sitek and Sam Spiegel. All tracks by Karen O, Nick Zinner and Brian Chase.